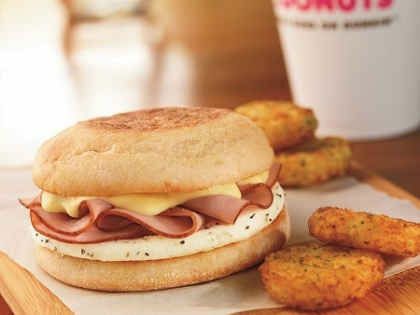 Chef’s Corner: Dunkin’ Brings Eggs Benedict Breakfast Sandwich to On-the-Go Guests! This spring, Dunkin’ Donuts is bringing a brunch favorite to guests in a brand new way with the launch of our new Eggs Benedict Breakfast Sandwich. The new offering brings an on-the-go twist to a traditional sit-down breakfast and brunch classic, and we are excited to hear how much our fans love it! As an added bonus, for the first week of March (March 3 -9), sales of the Eggs Benedict Breakfast Sandwich will help make a difference in the fight to solve hunger in the U.S. Dunkin’ Donuts and America’s Egg Farmers have partnered to donate one egg to Feeding America® for every Eggs Benedict Breakfast Sandwich sold (up to 750,000) between today and March 9. The eggs will be delivered to local food banks throughout the country in spring. 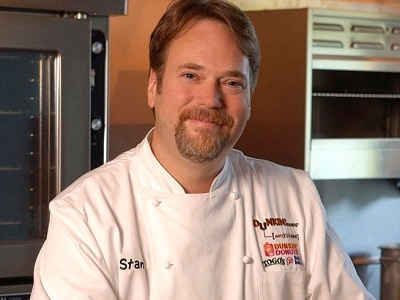 With all the excitement surrounding this delicious new product, we wanted to learn more about the Eggs Benedict trend, so I sat down with Stan Frankenthaler, Executive Chef and Vice President of Global Product Innovation at Dunkin’ Brands, to learn more about the creation of DD’s newest breakfast sandwich, and our exciting partnership with the American Egg Board and Feeding America. I’m crazy for Eggs Benedict and I love how expansive and popular the offerings have become. In fact, it’s always interesting when a single dish can be so captivating it spawns a menu section or entire platform of products. The classic Eggs Benedict is still one of the best; after all, that’s how classics are made! There’s a local diner that my wife and I sometimes visit where they hand cut thick slices of cured ham and griddle them for the benedicts. What makes Dunkin’s version great? At DD our Eggs Benedict Breakfast Sandwich features our black forest ham and egg on a toasted DD English Muffin with a new and unique hollandaise spread. The spread is delicious, and was really the innovation that unlocked this idea. It tastes creamy, rich and lemony just like hollandaise should. The best thing about our Eggs Benedict Breakfast Sandwich is that it offers flavors guests may enjoy and be familiar with, but delivered in an entirely new way. It’s all the things fans may love about their favorite “sit-down breakfast,” a traditional Eggs Benedict, but in a convenient and portable form, served on-the-go. Why convert this sit down product for on-the-go? We’ve always had fun with menu items that make foods that once had to be eaten on a plate with a fork and knife portable and convenient. I’m thinking about the Waffle Breakfast Sandwich, Pancake Bites, and perhaps one of our bigger sustained successes, the Egg White Omelets. Guests love the taste and familiarity of sit down classics, paired with the convenience of being able to eat on-the-go! We hope the Eggs Benedict Breakfast Sandwich will be a big hit with our guests. Can you tell us a bit about Dunkin’ Donuts’ partnership with Feeding America? We have partnered with America’s Egg Farmers to donate one egg for every Eggs Benedict Breakfast Sandwich sold for the first week of March to Feeding America. We are really looking forward to using this exciting new product offering to help fight hunger across America. The Dunkin’ Donuts & Baskin-Robbins Community Foundation has partnered with Feeding America since 2007 and we are excited that Dunkin' Brands is able to join in making an impact in this way. Have you tried our new Eggs Benedict Breakfast Sandwich? Tell us on Facebook and Twitter!